The Story of the Nativity presents the story of the very first Christmas told for young children, from when the angel appeared to Mary, to the wise men offering gifts to the baby Jesus in the stable. The simple text by Anna Milbourne is perfect for reading aloud and is accompanied by the warm illustrations of Alessandro Roberti. The Story of the Nativity will make a gorgeous Christmas gift for children older than a year. The Story of the Nativity by Anna Milbourne was published by Usborne in October 2009 and is our 20062nd best seller. 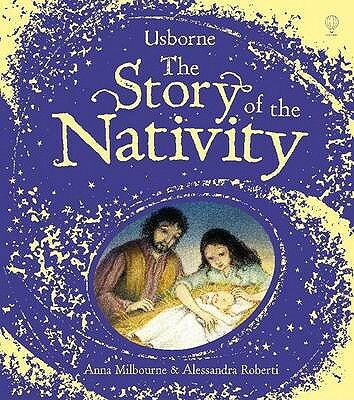 The ISBN for The Story of the Nativity is 9781409500469. Be the first to review The Story of the Nativity! Got a question? No problem! Just click here to ask us about The Story of the Nativity.